Black or orange, red,white,green,black,blue etc. 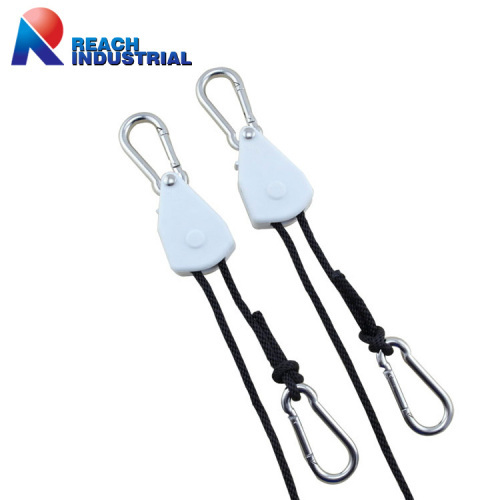 •1/8" rope ratchet light are excellent for hanging reflectors, light fixtures, carbon filter, ventilation equipment and much more. •It's easy for Hoisting and securing. 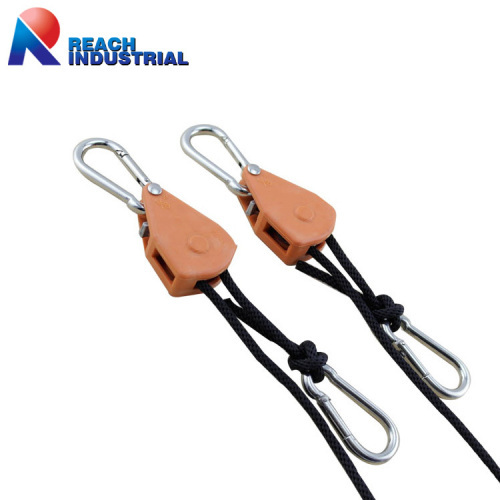 Just hook both ends, pull the rope to desired length, and press the thumb lever to release rope. 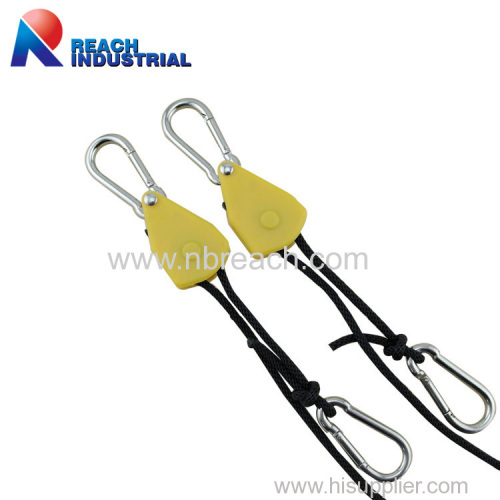 •Rope ratchet pulls tight, locks in place, will never break or slip. 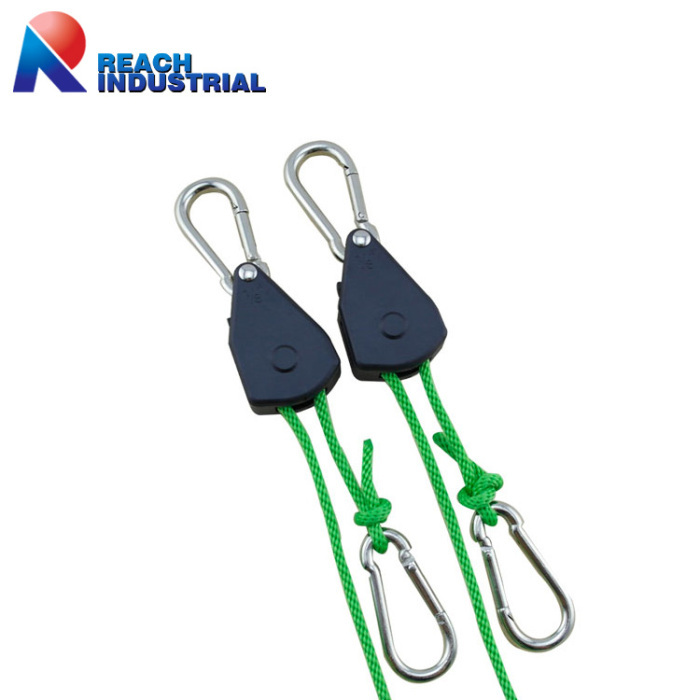 •7 ft(normal length) Braided polypropylene rope, Reinforced nylon shell and zinc alloy pulley or plastic pulley. 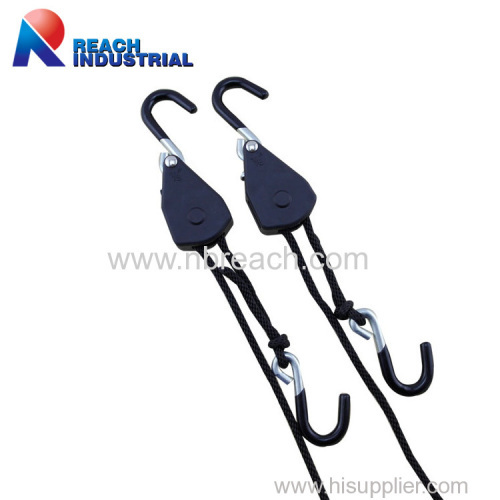 •Up to 150 lbs / 68 kg weight load capacity per pair. 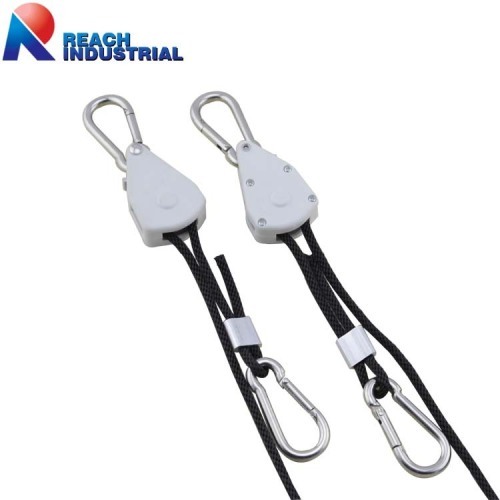 Free sample is just for the normal type: black color,7' length rope, polybag packing.Other color or custom-made patterns need to contact with customer service by email or chat on trade manager. 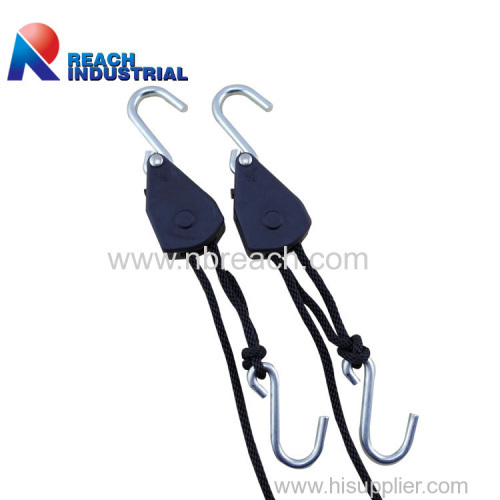 7' or as per customer's requirement. 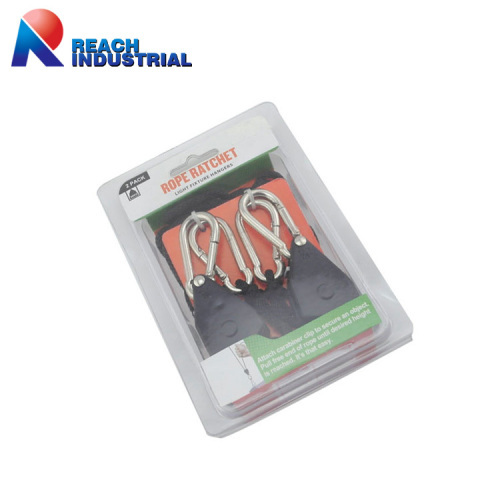 Polybag, clamshell with insert card or clamshell with beautiful paper board. 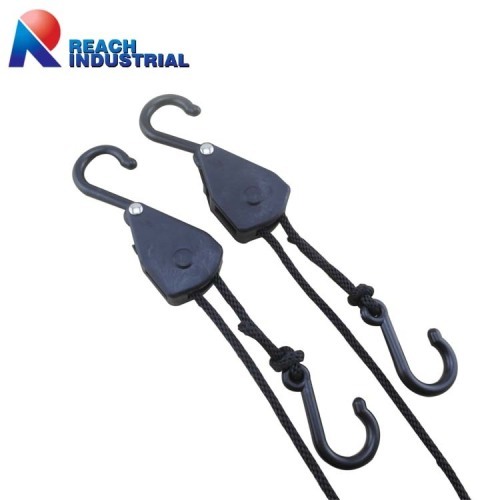 Normal color is black.Can provide a variety of colors both of shell and rope.